Derry City v Waterford, SSE Airtricity League, Brandywell, Fri 13th April, KO 7.45pm. 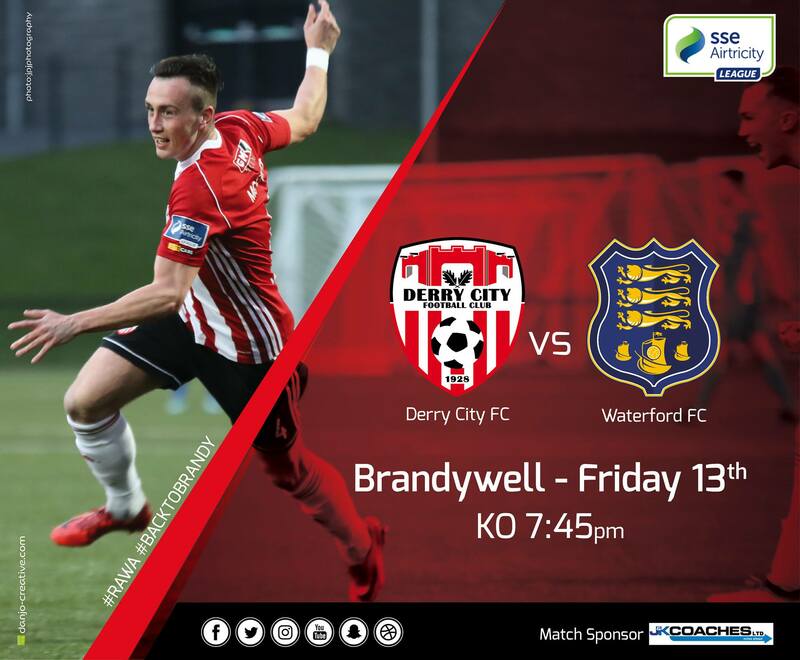 Derry City begin a busy few days at the Brandywell tomorrow night as they entertain high-flying Waterford before the visit of Bohemians on Monday (both 7.45pm KO). The Candy Stripes have made a dream return to their new-look home with 12 goals and a maximum nine points from their three games there so far. Boss Kenny Shiels is enjoying the run for what it is, however he is expecting a couple of very tough tests ahead. Shiels will again be forced into changes when he faces Alan Reynolds’ side- Nicky Low and Ronan Curtis are very doubtful after picking up knocks while Darren Cole remains sidelined with a groin injury. Gavin Peers looks certain to retain his place in the starting XI after an excellent performance at the heart of the defence in Sligo.